This Mai Charoeunpura movie page contains 9 records. Kratae's team (กระแต ) is hired by a Japanese company to shoot beauty of Thailand. They go to Sukhothai, Lopburi and its numerous bats coming from caves, Chachoengsao provinces. Two teams are in fact in competition. The second team is lead by Khae (เข้). 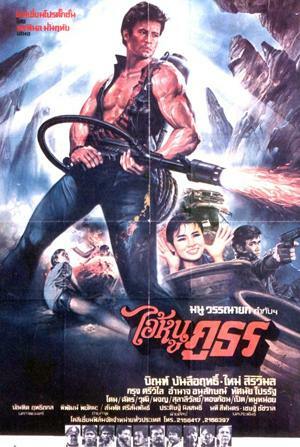 Then they all go to Phitsanulok to shoot the flying vegetables (ผักบุ้งลอยฟ้า). They attend to many festivals (ประเพณีเก่า) in various provinces such as Phi Ta Khon in Dansai, Loei Province. It is also a way to show provincial food (Isan) and fruits. The two teams compete together (ผู้ชายเก่งกว่า - สู้กัน). Following a race, their equipment is damaged. So they have no choice than collaborate. They go to the Cobra snake festival in Khon Kaen, to the Phichit Boat Races, to Erawan Cave in Udon Thani, to Kaeng Khut Khu at the Laotian border (Chiang Khan) and finally to Phuket island. 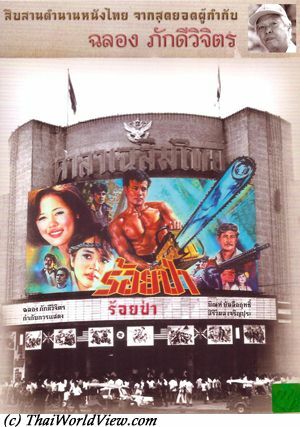 This movie shows many unseen touristic sites in Thailand. This movie is about tourism in Thailand with a love story as background. It is nice to see Phi Phi island without nowadays massive tourist development. The Japanese company was trying to locate some old Thai treasures thanks to the two Thai teams. Their bad stratagem is nosed out on time.